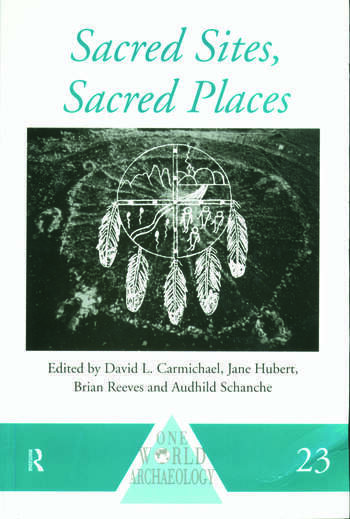 Sacred Sites, Sacred Places explores the concept of 'sacred' and what it means to people in differing cultures. Archaeologists, legislators and those involved in heritage management sometimes come into conflict with local populations over sites which these communities consider to be sacred. This volume is unique in attempting to describe the belief systems surrounding such sites, and in relating these beliefs and practices to the practical problems of heritage management. The book demonstrates the need to accommodate those beliefs which are a vital part of ongoing cultural identity. The geographical coverage of this collection is exceptionally wide and its range of contributors, including indigenous peoples, archaeologists, anthropologists and heritage professionals, is unrivalled in any other publication. David Carmichael is Assistant Professor in Sociology and Anthropology at the University of Texas at El Paso; Jane Hubert, a social anthropologist, is Senior Research Fellow in the Department of Psychiatry of Disability at St. George's Hospital Medical School, London; Brian Reeves is Professor Emeritus at the University of Calgary, Alberta, Canada; Audhild Schanche is Director of the Council of Saami Cultural Heritage, Norway.